Our brains grow faster between the ages of 0 and 3 than at any later point in our lives. We need to invest in the first three years of life to give all our babies the best chance to succeed in school and in life. 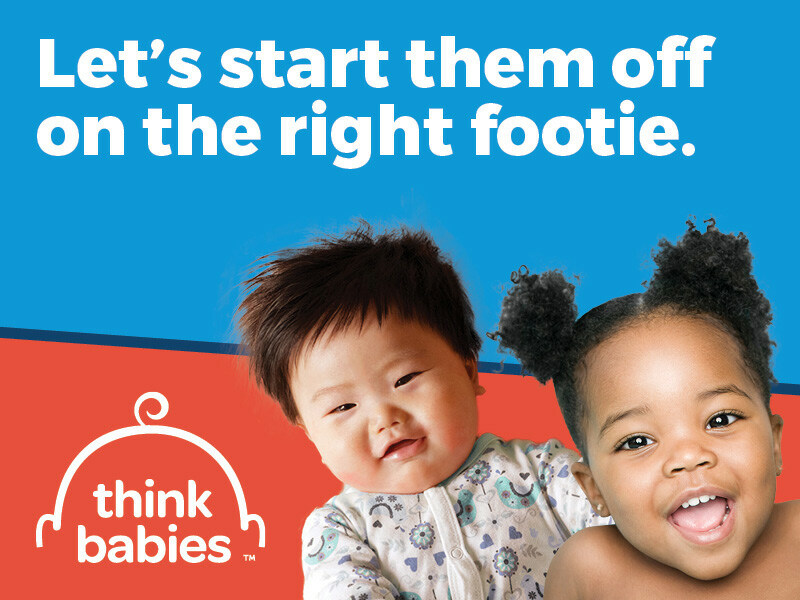 Each Tuesday starting today, Feb. 5th, North Carolina Early Education Coalition and Think Babies NC will be hosting Tuesdays for Tots! This campaign keeps people aware of the importance early (and we mean early) education has on a child’s future and adulthood. At The Partnership we focus on children age 0-5 which means “tots” too! The month of February focuses on Healthy Beginnings. Think Babies NC will host a Twitter chat every Tuesday to be a big voice for babies! While not all women will require pregnancy accommodations, some will need small, temporary adjustments to work safely through their pregnancies. These small adjustments may include more frequent water or bathroom breaks, an option to work while seated instead of standing, uniform modifications, or relief from heavy lifting. Despite the medical need, more than 250,000 women nationally are denied their requests for pregnancy accommodations each year, and many more do not request modifications due to fear of losing their jobs. Accommodations for pregnant employees are addressed by the Pregnancy Discrimination Act passed by the U.S. Congress in 1978, which guaranteed the right not to be treated adversely because of pregnancy, childbirth, or related medical conditions and to be treated at least as well as other employees, and by the Americans with Disabilities (ADA) Act which requires employers to make reasonable accommodations for employees with disabilities.2 But neither of these federal laws guaranteed accommodations in the workplace and the court decisions interpreting those laws have confused both employers and employees about what is required. That is why 23 states, including South Carolina and West Virginia, have passed laws that address this existing gap in the law. However, North Carolina has not. Currently, North Carolina’s anti-discrimination law does not specifically include pregnancy and there are no other protections in North Carolina law. In December 2018, Governor Roy Cooper extended pregnancy accommodations to all state employees through Executive Order No. 82: Promoting Health and Wellness by Clarifying Protections Afforded to Pregnant State Employees.